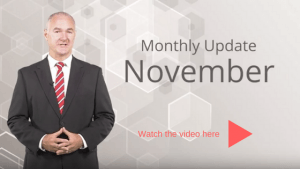 Our Finance Partner, Smartline Bella Vista, recently sent us the November 2016 Housing Market Update across the Capital Cities. CoreLogic Home Value Index has shown for the month of October 2016 that the combined capital city home values rose by 0.5%. Adelaide and Hobart were the only cities which fell in value during the month of October. The annual rate of growth is trending higher and is rising at its fastest pace since June 2016. The average selling time has dropped from 50 days to 39 days in September and discounting rates have also fallen to the lowest since March 2015. Sydney home values have increased by 2.9% over the three months to October, and are 13.5% higher over the first 10 months of the year. Melbourne dwellings have increased by 4.6% over the three months to October and are 11.9% higher for the year. Brisbane only rose 0.8% to be 1.3% higher over the three months to October, a moderate increase of 2.6% has been seen since the start of the year. “The growth trend in Sydney and Melbourne remains strong. Although the annual rate of value growth is slower than it was 12 months ago, the rate of growth is starting to escalate again. Canberra’s housing market is seeing its rate of growth accelerate and Hobart has also seen a recent uplift and growth.